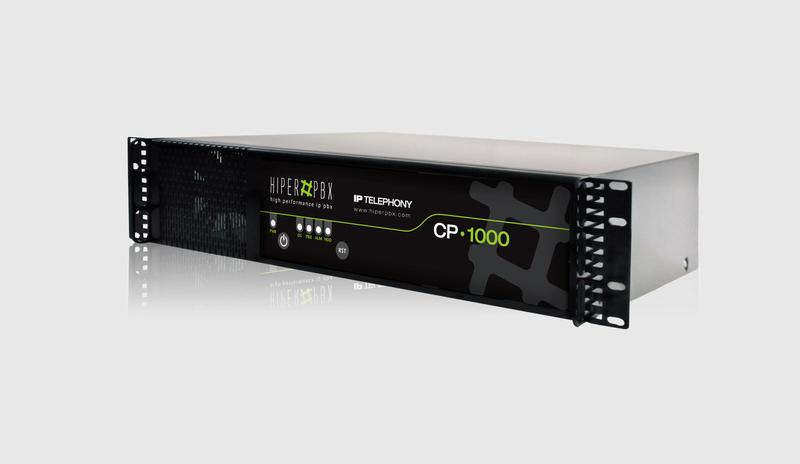 The IP PBX CP-1000 is designed for companies that want to expand and improve their telephone system, and/or reduce the national and international costs of the telephone calls. This model is recommended for companies or branch offices up to 100 extensions. HiperPBX systems have the benefits of the unified communications functionalities, auto-attendant, IVR, ACD queues, audio conference rooms and teleworker’s force. simple configuration on the HiperPBX system without the payment of any kind of license. 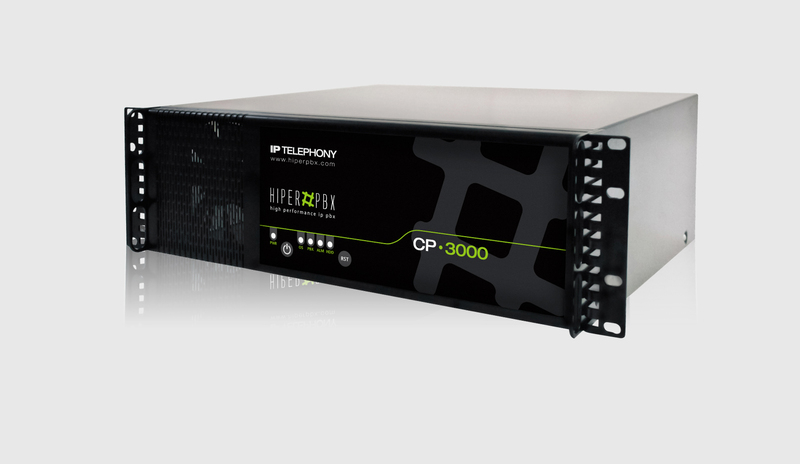 THE HIPERPBX SYSTEM DOESN’T REQUIRE ADDITIONAL HARDWARE MODULES TO SERVE ADVANCED FUNCTIONALITIES. The HiperPBX PBX is based on open source software and the additional modules are software based without the need to add a proprietary hardware piece. The companies can take the advantage of using the actual network infrastructure to connect the remote IP PBXs using IP trunks between the branch offices and the HQ Office. They can also install IP phones and softphones on smaller offices. The HiperPBX team and the certified resellers have a professional service available to help the companies to design QoS and traffic management policies, this is necessary to acquire an IP telephony prepared network. routes to choose the convenient line for each type of call. We can integrate part of a traditional telephone system using external Adapters/Gateways to connect traditional phones, wireless phones or fax machines. The IP PBX has a simple web interface to make the configuration for each software module and to monitor the information status of the overall system. You can also access to the reports and statistic information through the same interface. The HiperPBX base system includes the Call and Billing reports modules. With this modules you can audit the calls of each branch office, worker’s group or extensions. You can analyze the operative costs in relation with the utilization of the telephone resources. Mobile users can register to the HiperPBX system with their laptops, tablets or smart phones using the recommended softphone for each platform. They can use all the telephony resources available in the desk phone on the mobile device and can answer the calls like if they where in the office. Without registration limits, recommended for companies around 100 extensions. Custom Dial Plan and Dialing profiles per user. XML Applications and Phonebook directory available for the IP Phones. Ring groups without limits, including local extensions, remote extensions, cell phones numbers or external phone numbers. Multiple queues with its own music on hold category. Agent and extensions support. The Agents can login or logout dialing the feature code from the phone or using the agent login web interface (included in the call center module), this interface also provides CTI integration. Multiple IVR instances without simultaneous calls limitations. No limits on the number and the length of the options. Simple IVRs can be concatenated to design a complex IVR without depth limitations on the tree. This feature can be used to improve the welcome message when the call arrives to the IP PBX. You can have different welcome messages for each trunk, no matter the type of it. This is useful if you have to support multiple languages or different services on the same PBX. The welcome message could be uploaded from the web interface selecting a .wav audio file or directly from an IP phone. Inbound and Outbound calls can be recorded. The calls from an extension or a queue can be set to be recorded. You can use the on demand call recording option in case you want that the owner of the extension decide when to record a call. The recorded audio files can be accessed from the Web interface, you can filter and list the results based on the number of extension, date or dialed number. Static conference rooms: Static numbers declared on the dial plan, with pin support for the normal and the administrator user. The administrator is the leader of the conference and has special attributes that the normal user doesn’t have. The system can announce the person that enters or exits the conference room. Multi-language support for the Voicemail feature. You can access this function from the IP Phone, outside the PBX or Web interface. Each voice mail has associated an email address where the message can be delivered attaching a .wav file. The fax server can send the faxes to the email address configured on each virtual fax. The system sends the fax to the corresponding email attaching a file in .pdf format. The HiperPBX PBX systems don’t have a licensing scheme for adding ip phones, trunks, Voicemail function, IVRs, etc. The product can be used up to the maximum recommended capacity without the addition of any kind of license fee.